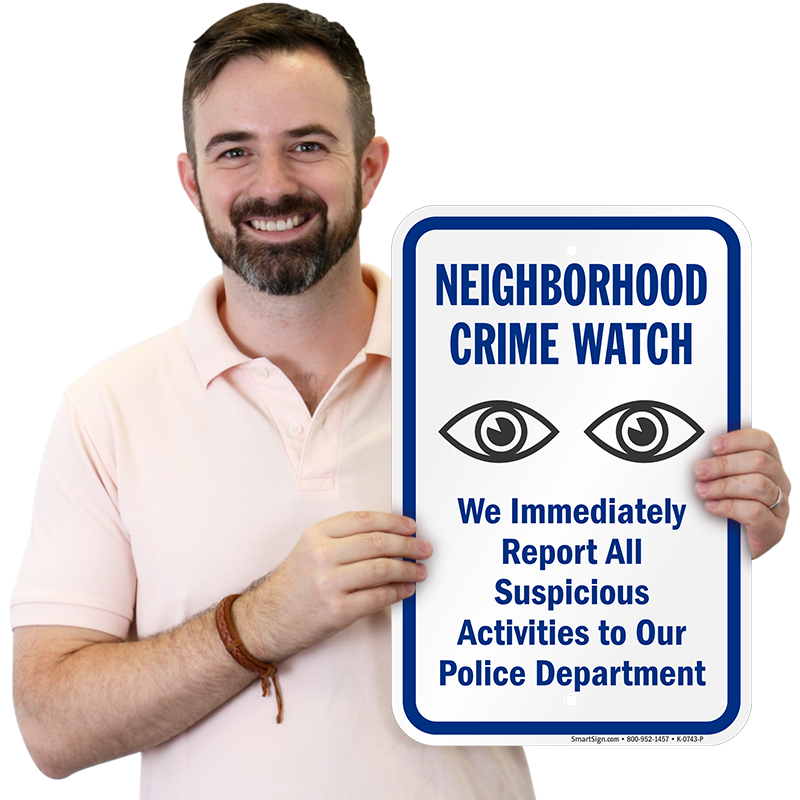 Install this sign and announce that your neighborhood crime watch program is active. 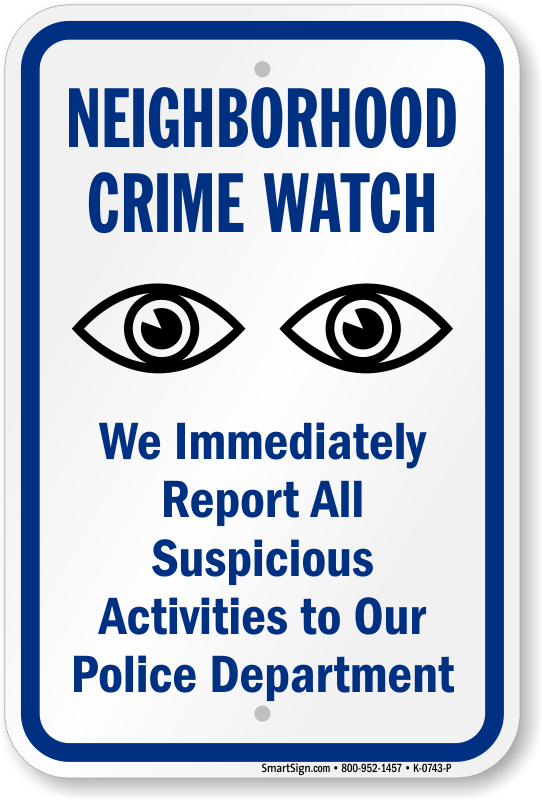 With two eyes symbol, the message warns criminals that all the suspicious activities will be reported to the police. 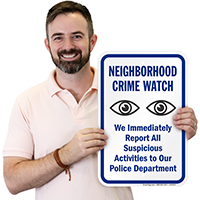 Very well made,substantial thickness, good graphics. Great reflection.